7-year warranty on parts. Lifetime warranty on Power Rods. Bowflex Home Gyms have helped over 1 million users achieve results. 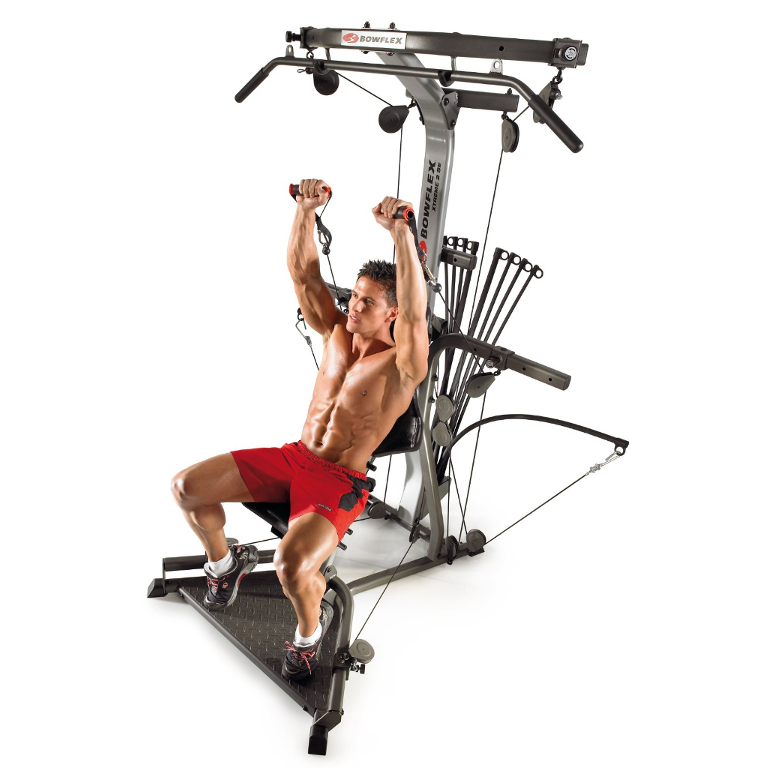 The Xtreme 2 SE Home Gym is Bowflex's most popular gym workout machine. It is priced at $1,599.00 and allows you to do over 70 different exercises working your full body. You can target muscles from your back to your legs and all without a spotter. Thanks to the power rod resistance technology it means spending less money on a home gym while being able to still have access up to 410 lbs of resistance. The Xtreme 2 SE Home Gym is designed to be compact and has a footprint of roughly 4' 6" squared. To fully do all of the exercises and use all of the features of the gym you do need a workout area of 8' by 6' 5". The power rod system is easy to use and all you need to do is click the required rods for the weight you want into the hooks on the end of the cable. It is also great that you can go from one exercise like squats to doing lat pulldowns without changing cables like in other system. One cable runs all exercises. With power rod technology you have progressive resistance. This means when you perform an exercise their is less resistance at the beginning than at the end. This makes things easier for beginners to get started while providing more experienced users extra variations and customizations in exercises. One other benefit of power rods is that since it is based on resistance there is less risk of joint injuries when compared to free weights. This is due to the fact that gravity and inertia doesn't factor in when performing the exercise. Standard delivery for the Xtreme 2 SE Home Gym in the contiguous United States costs $169.99. It is $424.99 to Hawaii and Alaska. To ready your order it takes approximately 2 to 10 business days and another 7 days on average for delivery. This home gym is also available internationally. Expect your gym to ship in about 5 boxes (usually together on a pallet). On average it will take about 3 hours to put the Xtreme gym together. 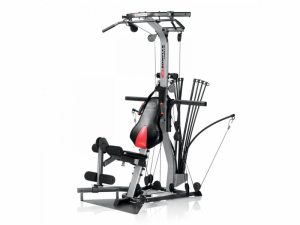 The base Bowflex Xtreme 2 SE Home Gym is priced at $1,599 plus shipping and taxes. * All prices are in USD unless specified other wise. Prices, coupon codes, products offered, and product features last checked March 22, 2016. Your satisfaction is guaranteed when you purchase a Bowflex home gym. If you are not happy with the results of using your home gym, you can return it within 6 weeks of delivery for a full refund of the purchased price minus any shipping and handling charges. The Xtreme 2 SE Home Gym comes with one of Bowflex's longer warranties. You get a 7 year limited warranty (commercial use and misuse not included) that covers all defects in material or workmanship. The power rods come with a lifetime warranty against breakage. With Bowflex products you have access to customer service during business hours by a 1-800 phone number, email, and online chat. Via their website you can download manuals, watch training and assembly videos about home gyms, and read the online FAQ if you have any questions. There is also a Questions and Answers tab available on every product page that allows you to ask any question you have about the product. You can also reach out via social media (Facebook, Twitter, Google+) and interact with other Bowflex users and find some extra motivation thanks to people posting photos of their results, etc. The great thing about this home gym when compared to others (and older Bowflex's I believe) is that it uses pulleys instead of multiple cables. This makes things a lot easier and usually means you just have to clip whatever tension rod you want on and you can start your workout. In some cases you may also want to change the location of the pulley if you are doing chest presses. You can clip the pulleys on different bars (or different locations of bars) to change the location of where you are pulling from. I was a little hesitant about getting a Bowflex gym at first. I thought free weights would be better but I didn't want all that weight sitting on the second floor. A Bowflex is much lighter obviously since you don't have a 300 LBS weight stack. I am glad I did. I use the Bowflex about 4 or 5 times a week and I have gained about 9 pounds of muscle which has me at 195 LBS. It's a great workout. For men I would recommend getting 410 LBS of resistance. You may not need it right away but if you plan on using the machine a lot you will eventually. Women and seniors probably can stick with the regular 210 LBS that the Xtreme gym comes with. I can cover my entire workout with the Bowflex and I am glad I went ahead and got it. Tension rods work better than I thought they would.